What kind of a phone call can bring U.S. Federal Communications Commission and over 30 top United States IT companies together to form a coordinated "Robocall Strike Force"? Well, "robocalls" can do just that. A robocall is simply an automated phone call that uses an autodialer to deliver a message. If you ever received unwanted pre-recorded phone calls from telemarketers, debt collectors, political parties, donation seekers, or outright scammers, you are familiar with robocalls. And, you are definitely not alone. Robocalls are widespread and no one is immune from them. 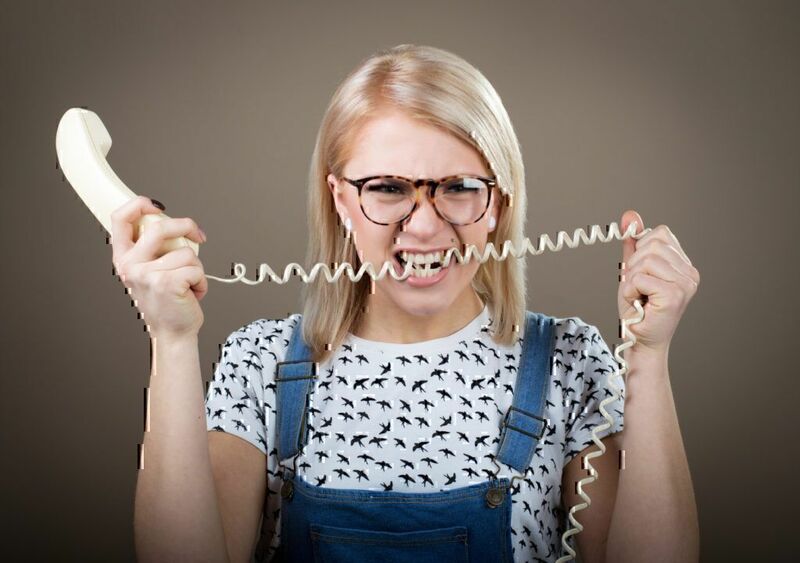 When consumers get multiple robocalls a day, it can be very irritating and entirely abusive. Robocalls are especially dangerous when a robocaller is pretending to be your bank, your credit card company, or some other organization you trust, such as a government agency. If this is the case, your money or identity can be stolen and it might take years to restore what a simple 2-minute phone call has taken from you. In order to better understand the problem, let us go back in time and learn how things got so bad, that a "Robocall Strike Force" became a necessity. The problem is not new. Unwanted and fraudulent phone calls are as old as the telephone itself. For many years, however, technology limitations together with high cost of telephone services acted as a barrier to a widespread robocall abuse. Going 30-40 years back, phone calls were expensive. For example, in 1984 the cost of a local phone call via a pay phone increased from 10 cents to 25 cents in New York and some other states. This increase might not look like a big deal today, but back in 1984 you could have had a hamburger at McDonalds for 55 cents or a dozen eggs for slightly under a dollar. So, 25 cents had a different value at that time. And 25 cents was a "local call" rate. If you were calling "long distance", which in many cases included neighboring cities, the cost of a phone call skyrocketed. For example, a weekday rate for a 5-minute phone call from Los Angeles to New York in 1985 was $2.53, according to Los Angeles Times article. International calls were even more expensive and out of the question for most people. Nevertheless, even with the high price of a telephone call, doing business over the phone was much more cost effective than travelling and face-to-face meetings. As a result, more and more organizations started relying on phone communication. And rightfully so. Why send a salesperson all the way across the city or, in some cases, across the country to meet with a prospective client face-to-face, when a simple phone call could do? Yes, the phone call would cost a few dollars, but compared to the cost of tickets, taxi fares, hotels, and so forth, it would still be a bargain. With ever increasing demand, the race to the bottom started between major phone service providers and software development companies of all sizes to offer cheaper, faster, and more efficient ways to make phone calls. Some early attempts to automate phone calls and make them cheaper started even before Internet became a widespread technology. At the same time, leaving automated pre-recorded voicemails became a common practice. Adding another layer to the problem, on March 13, 1984, Motorola sold its first handheld cell phone to the unknown hero for $3,995 (about $10,000 in today's money). Motorola DynaTAC 8000X model was ugly, huge in size, weighed almost a kilogram, can only work for 30 minutes, had very limited service areas, and was extremely expensive to buy and use. Even so, DynaTAC 8000X model, nicknamed "The Brick", opened a floodgate to personal cell phone use, gave the start to enormous competition for the new cell phone market, and became a status symbol for any successful businessman. And, of course, cell phones quickly became a target for all kinds of people making unwanted or fraudulent phone calls. Along with legitimate businesses came not-so-legitimate operations and scammers. Things got so bad, that in 1991 U.S. Congress had to pass the Telephone Consumer Protection Act (TCPA). The TCPA (formally codified as 47 U.S. Code § 227 - Restrictions on use of telephone equipment) was designed to restrict telemarketing and the use of automated telephone systems. The TCPA limits the use of automatic dialing networks, artificial or prerecorded voice messages, SMS text messages, and faxes. The Telephone Consumer Protection Act (TCPA) is an extremely unforgiving and ruthless law and was designed to stop robocall abuse, among other things. Under the TCPA, consumers are entitled to seek anywhere from $500 to $1,500 per an illegal phone call (!) covered by the TCPA, which is any phone call to a cell phone made without prior explicit written authorization from a consumer, for example. There are many smart consumer protection attorneys who took the Telephone Consumer Protection Act (TCPA) to heart, but there are few who are absolutely remarkable. Back in June of 2012, outstanding consumer protection attorneys Joshua B. Swigart and Robert L. Hyde of Hyde & Swigart LLP, in cooperation with equally great lawyers Douglas Campion and Abbas Kazerounian taught the Wells Fargo Corporation (number one bank in the United States by market capitalization) and Freddie Mac a good lesson about the TCPA. The cost of the lesson was 17 million dollars in class action settlement money. (Case No. 3:10-cv-01290 and Case No. 3:10-cv-02657 filed in the United States District Court for the Southern District of California). In July of 2014, good people from Lieff Cabraser Heimann & Bernstein LLP settled the TCPA lawsuit with Capital One Financial Corporation (one of the top 10 American banks) for a whopping 75 million dollars (Case No. 1:12-cv-10064 filed in the United States District Court for the Northern District of Illinois). Two month down the road in September of 2014 same guys from Lieff Cabraser Heimann & Bernstein LLP took Bank of America Corporation (the second largest bank in the United States by total assets) for 32 million dollars in the similar class action TCPA lawsuit. (Case No. 5:11-cv-02390 filed in the United States District Court for the Northern District of California). If you think such harsh penalties stopped anyone from using robocalls, think again. There is simply too much money on the line to quit. If we want to understand why the problem is so big and virtually unstoppable, we need to look at the robocalling from “potential robocaller’s” perspective. Let's say, your business revolves around the phone, and making hundreds of phone calls is your daily routine. Years ago, phone calls were made by manually dialing one number at a time. This was very inefficient and time-consuming. The number of calls one agent was able to make was very limited, and the number of connected (answered) calls was even smaller. Leaving voicemails on not-answered numbers was the biggest time killer. The voicemail greeting alone can be as long as 30 seconds, and it takes another 1-2 minutes to actually leave a voice message. Together with dialing time, we are looking at 3 minutes spent to leave a voicemail that will probably lead nowhere. Now you can see why leaving pre-recorded messages became so popular. The agent might be talking to the next client, while the machine leaves a pre-recorded message for the previous one. When personal computers became more accessible, first attempts were made to automate dialing process and increase the number of phone calls one can make. Things got more and more complicated with the rapid evolution of the Internet. In 1991 first VoIP (Voice Over Internet Protocol) application named Speak Freely was released to the public. The VoIP technology allowed users to make phone calls and send fax messages using Internet connection instead of phone lines. In 1995 Microsoft, Intel, and other IT giants began the process of standardization of VoIP systems. VoIP became so big that, feeling the heat, in 1996 telecommunication companies unsuccessfully petitioned the U.S. Congress to ban the Internet phone technology. The ban has never happened. Due to the rapid expansion of the new technology, VoIP phone calls were becoming cheaper and easier to make by the day. With the opportunity of that size, huge players, like Cisco Systems, jumped in and by 2004 VoIP providers popped up on every corner. The cost of a phone call diminished to the cost of the Internet connection. There is no such thing as long-distance or international calling when all calls are made using the Internet. And, of course, broadband ultra-high-speed Internet connection became a very low-cost reality. The art of reaching out to consumers over the phone evolved rapidly due to enormous benefits the new technology offered combined with huge potential profits. Needless to say, scammers and unscrupulous telemarketers were right on cue. Today's call center is a robust well-oiled machine where complex technologies are utilized together with highly trained agents / representatives / customer service specialists. Nowadays commercial automated dialing systems are capable of supporting up to 2,000 simultaneous phone calls with only one server and a single 100 Mb Internet connection. When a call-center is originating 2,000 outbound phone calls at the same time, you can bet there will be many pre-recorded robocall messages left. And, if scammers are running the joint, there will be enormous damage done. Especially when scammers change their Caller IDs and phone numbers to make them look legitimate. 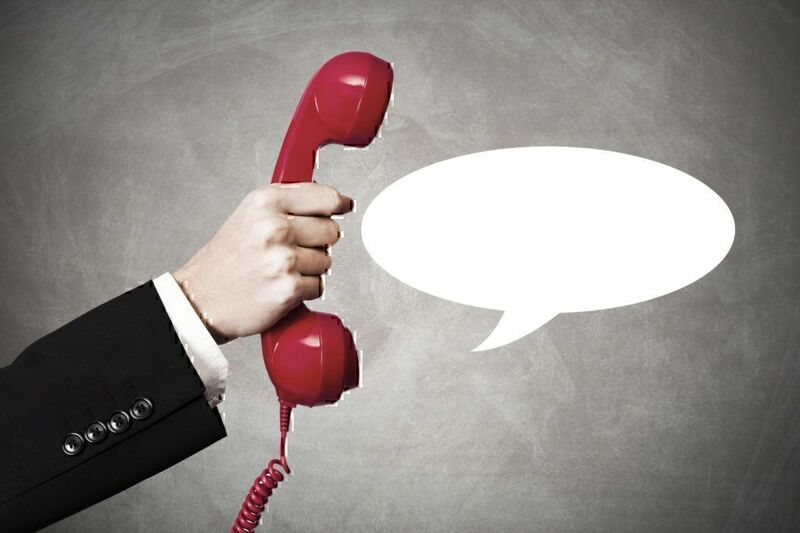 As far as technology goes, the call-center industry took things one step further, adopting predictive dialers as a time-saving and cost-cutting measure. A predictive dialer is an absolutely remarkable combination of hardware and state-of-the-art software that leaves nothing to chance. Today, predictive dialers employ a Call Progress Analysis technology, where software is analyzing the call in real time. This allows the dialer to automatically recognize disconnected numbers and abandon the call and recognize when a voicemail is reached to leave a pre-recorded message, all without any effort or even awareness from the call-center agent. The agent is only connected to the call when the live person answers the phone on the other end. The use of predictive dialers allowed for boosting of "agent utilization" to 57 minutes per hour, according to Wikipedia. Finally, since VoIP phone calls can be made from anywhere in the world, call-centers mushroomed all over India, Philippines, Bangladesh, and other countries that offer very inexpensive labor. A simple setup of the VoIP system can change a Caller ID and a phone number of a caller, so most consumers in US or Canada will never know the call is coming from overseas. Now, imagine this technology combined with cheap labor at the hands of shameless telemarketers and scammers. Well, this is when the "Robocall Strike Force" became a necessity. Only time will tell if this Strike Force will make a difference. AT&T CEO Randall Stephenson pointed out "the breadth and complexity" of the problem. Hopefully, "Robocall Strike Force" will have enough muscle, since it brings together the government regulatory agency, phone and internet providers, device makers, operating system developers, and network designers. As consumers, we definitely should wish them the best of luck fighting a good fight.